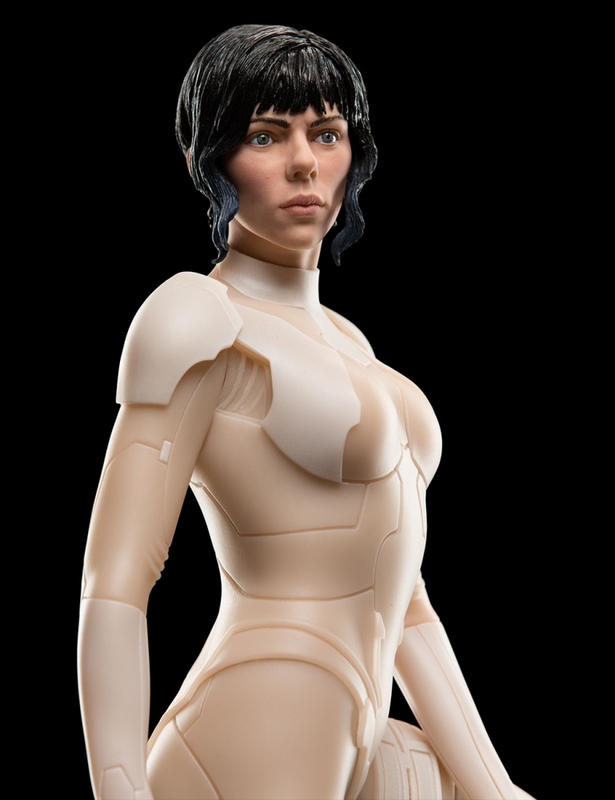 The Major’s thermoptic suit was to be a centrepiece of Ghost in the Shell and represented a benchmark for Weta Workshop’s creativity and innovation. Taking digital scans of actress Scarlett Johansson, the Workshop built an extraordinary physical effects suit unlike anything it had attempted before. Cast in a smooth, translucent silicone over a mesh fabric, it adhered to The Major like a second skin; a piece of technology, both practical and iconic. The artists of Weta Workshop have recreated Major's stunning suit for you in this collectible polystone statue, of which only 500 will be made. I created the pattern shapes, and then they went to the 3D department where they digitised it, milled it out in acrylic to create a mold, and sent it to the prosthetics team. They poured the silicone, laid in the mesh fabric that we used as a base, then we'd cut them up and you'd have these beautiful pieces with all the detail molded into them - it was just incredible. This extremely limited edition 1:4 scale statue is made from high-quality polystone and features a unique illuminating base: a first for Weta Workshop. Expertly designed and sculpted by Mauro Santini, and developed by the same Weta Workshop artists and technicians who work on our film projects.